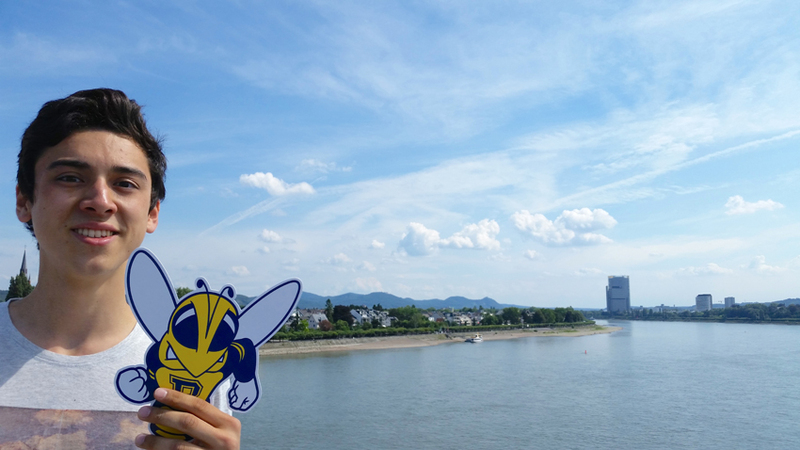 Nathaniel Potrepka and Rocky at the Rhine River, with the skyline of Bonn, Germany in the background. Germany’s transportation system is legendary for its efficiency – but it can also be expensive if you have to use it every day. Nathaniel, a computer science major, studied multi-sensory human-computer interaction under Jens, a PhD student at the university, and created a 3d model for a position tracking device for mobile phones. Nathaniel also visited Cologne, Rotterdam, Leiden, Amsterdam, The Hague, Antwerp, and Budapest.